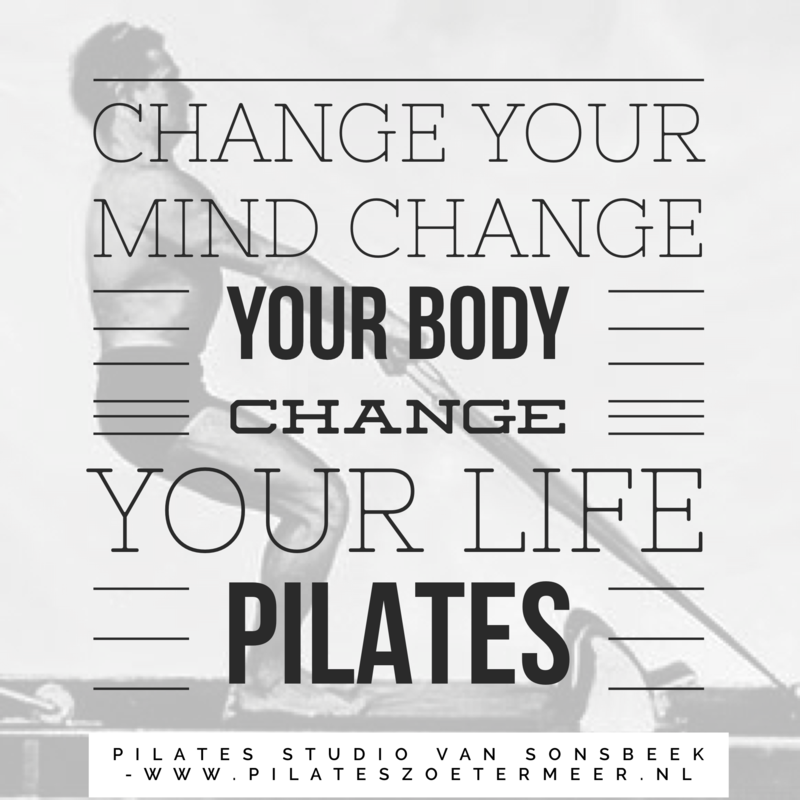 Pilates saved my life, re-shaped my world, rehabilitated my body and healed my soul. 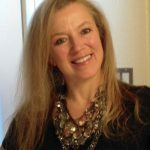 Tina Sferra, MSPT is a physical therapist specializing in manual therapy, dance medicine, sports medicine, yoga and pilates. She was a SUNY Purchase Dance Major. She received her Master of Science in Physical Therapy from New York Medical College in 2000. 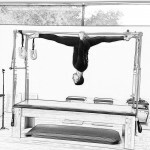 She has been a PhysicalMind Institute Certified Pilates Instructor since earning her Mat in 2004 and Apparatus in 2012. Live Long, Live Strong: “Get to the Core of the Matter. She has worked in NYC Dance Medicine at Performing Arts Physical Therapy under Sean Gallagher, PT as the Primary PT for the Lion King at the theater and has also treated cast members at other theaters of Chicago, Cabaret, 42nd Street, Swing, Fosse, Radio City Rockettes, Saturday Night Fever, Aida, Kiss Me Kate, A Christmas Carol, Beauty and the Beast, David Parsons Dance Company, Sesame Street Live, etc. 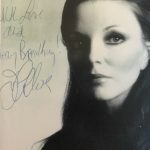 She has continued her practice specialty of Dance Medicine by consulting with and lecturing to the SUNY Purchase Conservatory of Dance and Faculty. She also continues her relationship with NYC Dance Medicine Physicians receiving referrals to treat Westchester’s up and coming dancers. She is a Certified Pilates Instructor through the Physical Mind Institute in NYC and is a Mad Dogg Athletics Certified Spinning Instructor. 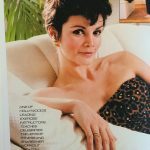 She has a private practice integrating the traditional physical therapy model with alternative holistic techniques to relieve pain and prevent its recurrence. 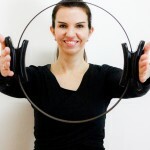 She incorporates a Functional Manual Therapy approach. 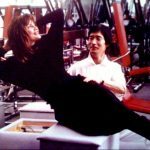 With her combined background she has an interest in helping to restore functional performance for all who are experiencing functional limitations and a special interest in helping dancers and athletes restore elite performance back into their lives. 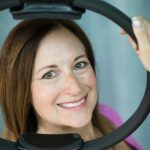 She truly bridges the gap with Rehabilitation and Wellness by offering *Pilates Apparatus Privates as well as teaching her specialty, *Pilates Physioball, *Pilates Mat, *Standing Pilates and the new Tye4. I discovered Pilates as a freshman SUNY Purchase Dance Major in 1987. 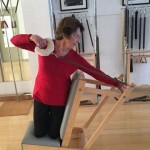 I sustained a terrible injury to my (R) hip capsule and enrolled in Pilates Reformer and Mat classes in the dance conservatory building on campus. I also saw a traditional PT, far from the Dance Medicine PT that I currently practice. I tried to re-enter the dance world for the next five years but was never truly able to work my turnout to the end ranges of the hip external rotation necessary for Classical Dance. The pain and the traumatic loss of my lifelong focus on dance devastated me. 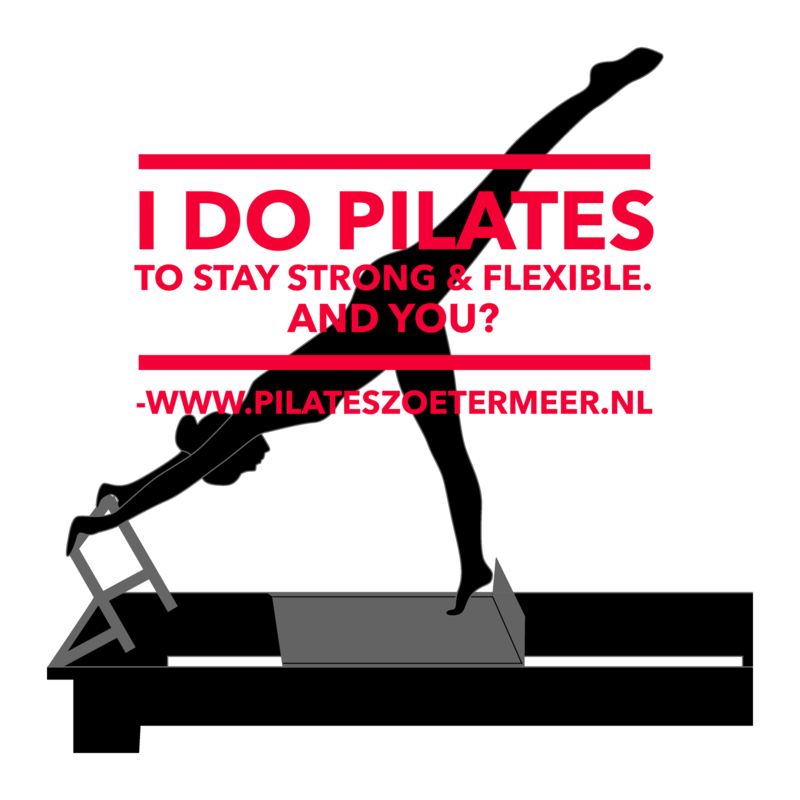 Pilates saved my life, re-shaped my world, rehabilitated my body and healed my soul. I re-discovered Pilates again in 2000 upon graduation from PT school and getting hired after my Dance Medicine internship with PAPT to work for Sean Gallagher, PT at PAPT treating NYC’s Broadway dancers. At PAPT I had the opportunity to take a daily private Pilates lesson under Romana trained teachers and also held weekly meeting to collaborate with Pilates Instructors on my Pilates exercise prescription plans for some of my patients to engage in 1/2 hour Pilates sessions with these well-trained teachers. This was a successful rehabilitative collaboration! My body is stronger and better now than it was 20 years ago when I was in the height of running and teaching Spinning classes and flying off to the moon! I currently operate a Functional Manual Therapy Practice and Pilates Studio, Elite Performance Physical Therapy of Westchester, one hour North of NYC. I am housed in the well-known, world-renowned, Katonah Yoga Bedford Hills. I am not in any way a purist. Restoring functional performance and enhancing elite performance is my ultimate goal. 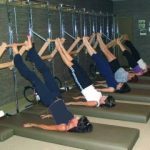 Studying the Katonah Yoga method reminds me a lot of the beautiful variations that we find in the Classical Pilates, since as we know, Joseph Pilates studied Yoga, Gymnastics and Martial Arts. 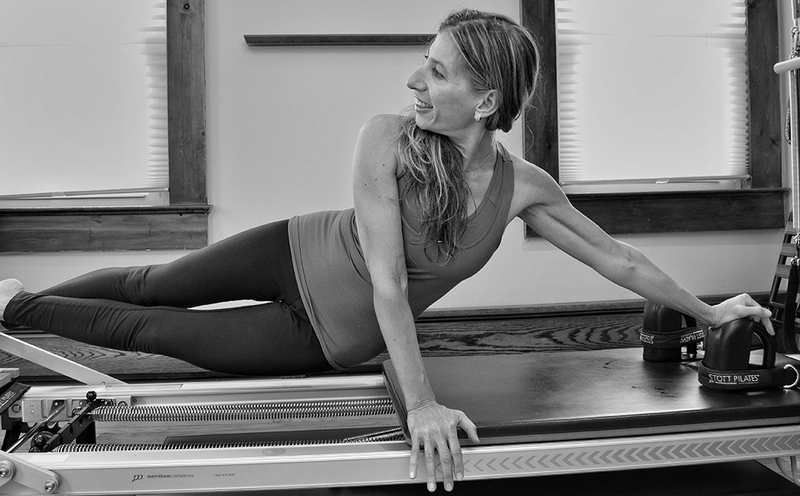 My study and Practice here at Katonah Yoga has inspired me to go back to my roots of Classical Pilates as the similarities and brilliance have taught me so much about measure and creating efficient functionality in the body. 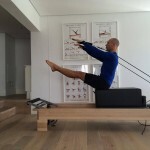 My opinion about Traditional, Classical and Contemporary Pilates is this: if it is safe, then use it. If it is not, then don’t. If it is Pilates, then call it Pilates. If it is not Pilates then don’t. What I don’t agree with is high repetitions which I have seen encouraged by some places. One of my favorite aspects is that in a true Pilates program, repetitions are limited which prevents injury causing compensations. 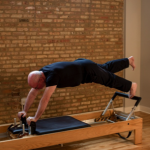 Joseph Pilates stated to “never repeat the selected exercises more than the prescribed number of times since more harm will result than good.” This is in alignment with a personal philosophy that I always teach. I expect ~ Quality, not Quantity~. I remind people that your body will remember the last thing it did so leave it with a reinforcement of a good neuromuscular pattern. 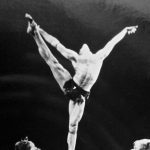 Pilates began creating his system by putting springs on beds for wounded soldiers of war and then rehabilitated dancers in NYC. I teach Pilates as a profession because it heals people. It healed me. It is the real thing. It is not a fitness fad. It has stood the test of time because it is founded on both simplicity & complexity about the basic truths of the body and it’s care. Pilates moves the fascia, releases the soft tissue, mobilizes into the depth of every joint creating a fine-tuned engine, a powerhouse in your body by transforming your body into a well-built, solid support structure to live in and use to participate in life abundantly. 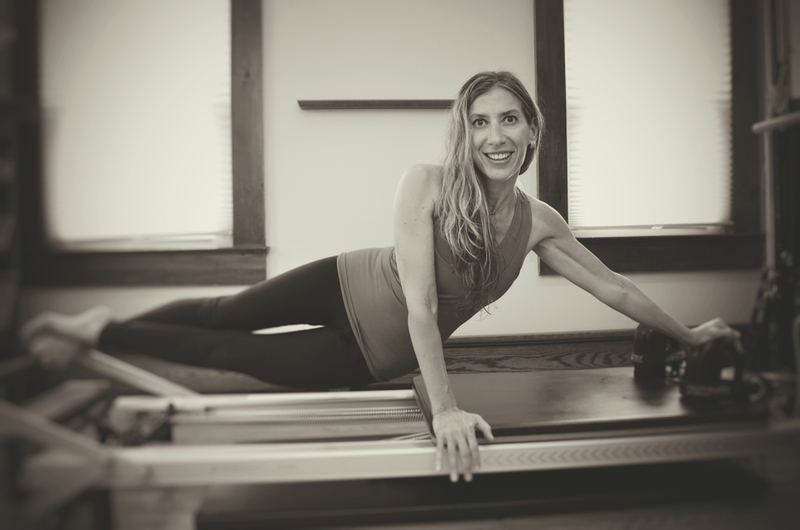 There is nothing better than starting my day at work with a Pilates Reformer self workout ~ I feel invigorated, renewed, refreshed, fully human, fully alive fueled with energy and mental clarity! Pilates moves the fascia, releases the soft tissue, mobilizes into the depth of every joint creating a fine-tuned engine, a powerhouse in your body by transforming your body into a well-built, solid support structure to live in and use to participate in life abundantly. Joseph Pilates says the “Pilates apparatus is the machine and your body is the engine that moves it.” I have found that mindfully engaging the body trains the brain. “All movement begins and ends with the nervous system.” (1) *Michael Blubaugh, Clinical Magic) When we are barefoot strong with fine tuned neural receptors we can engage the entire human kinetic chain when the foot hits the ground. 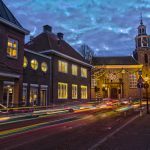 There is an abundant basket of epiphanies and synchronicities that occur in our lives directly proportional to the level of care and the refinement of skill that we develop in the self-management of our physical forms. This transcends all spheres of existence; the physical, mental, emotional, cognitive, sensory, magical, mystical, esoteric realms that truly enhance our divine existence. Joseph Pilates said that, “physical fitness is the first requisite of happiness.” It is the basis for sustaining a high quality of life. I think from viewing all of my worldwide Pilates Instructor Facebook friends that I can make the general statement that we are all positive, happy people!!! 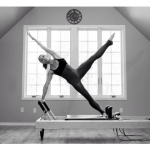 There is nothing better than starting my day at work with a Pilates Reformer self workout ~ I feel invigorated, renewed, refreshed, fully human, fully alive fueled with energy and mental clarity! 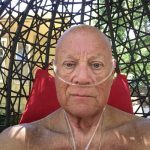 I can change my world every day and positively affect those around me when I am cleaning my house, my “home”, my body, which is a metaphor for taking care of the body. Joseph Pilates speaks about “bodily house cleaning with blood circulation (thereby creating) an ~internal shower~. 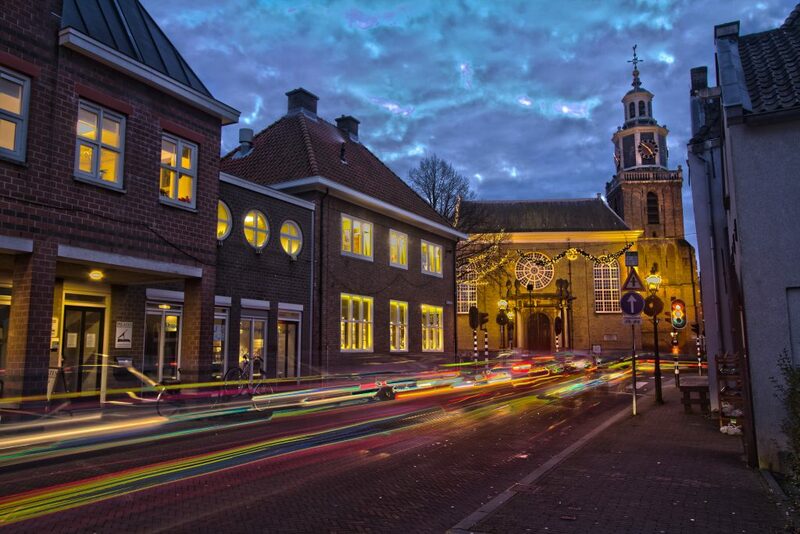 My home, I keep clean, all the corners and all of the floors. Taking it one step further in this metaphor, at Katonah Yoga, creator, Nevine Michaan, explains this same concept in depth stating that, “once my home is clean I can invite friends over and fill it with sensory ambiance, fresh flowers, candles burning, essential oils for aromatherapy, the smells of good food and fine wine with a little background music and fresh airflow.” That is the level of refinement one gets when one truly learns to refine the body in Pilates. It’s a beautiful thing. 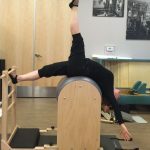 “A few well-designed movements, properly performed in a balanced sequence…” (Joseph Pilates) can have profoundly positive effects into an upward spiral of becoming. I work out at least a minimum of 5 days per week. 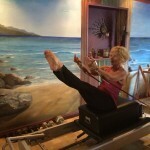 My minimum repertoire is 2 Mat, 2 Reformer / Tower / Chair, 1 Katonah Yoga workout and 1 spinning class. 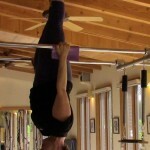 I do a variety of Pilates workouts and I am always experimenting based on a plan of goals. Seasonally, I also engage in ballroom dancing (Salsa & Swing), running & ballet. 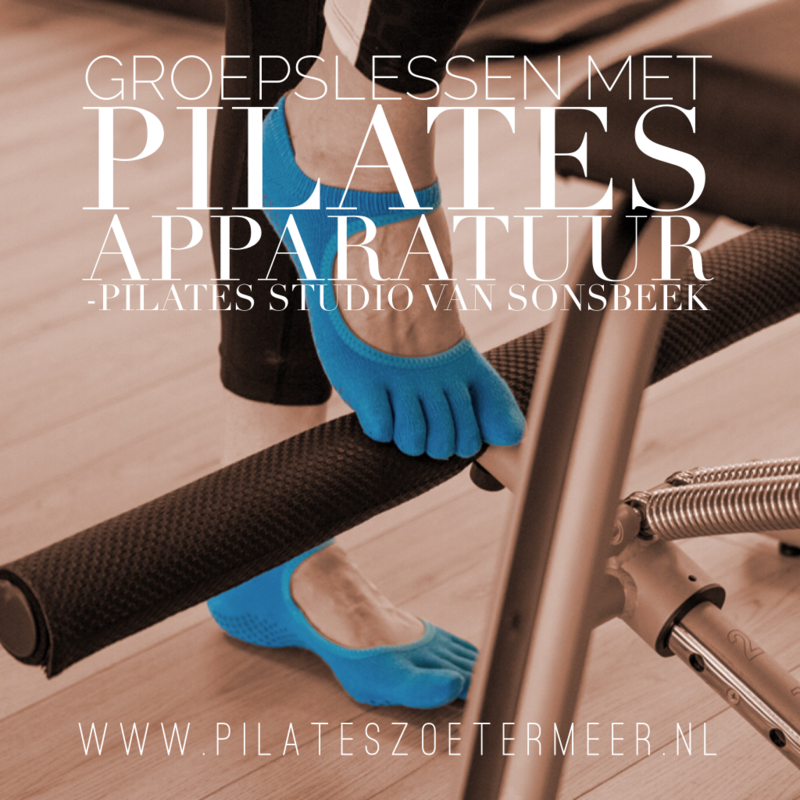 Pilates keeps me so fit that I can easily cross train and jump from one activity to another without much soreness at all. I aspire to do more Pilates always. I am a Wellness Warrior TM. I believe in health. My body is stronger and better now than it was 20 years ago when I was in the height of running and teaching Spinning classes and flying off to the moon! Spinning was actually a rebound from the orthopedic discomfort from outdoor running on slanted roadside with pronated arches, bunions and resultant medial knee pain. I gravitated towards these endorphin producing activities in search for the feeling of the freedom I had in dance. My dancer bunions & pronated ankles have never been better and keep on improving over time with Pilates. On the patient and client side of things, I see about 5 people per day while my children are in school. It affords me the luxury of being there for them after school. Learn the Fundamentals and Understand the Neutral Spine conceptually, proprioceptively and kinesthetically what is a neutral spine and now apply it gracefully to dynamic motion. Grace comes with effort. A neutral spine is your foundation for life; your foundation for all movements that be. Without a neutral spine, you can not access your full potential. Your action potential needs to be generated by a fine-tuned, high powered, hydraulic power tool or system that creates a central machine, or Pilates “Powerhouse” from which all movements are generated. Without it, there is collapse and breakdown. 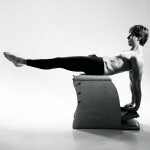 With Pilates, there is only an upward spiral of becoming through efficiency of movement and power. Understanding Vectors of Skeletal Pull: Understanding that the shoulders, which start in the back, at the shoulder blades (scapulae), affect the upper spine, and the legs, with their muscle attachment sites to the pelvis, which the spine is lodged in, ending at the sacrum, affect the lower spine. Length / tension relationships not in balance create altered and faulty mechanical vectors of pull on the spine. The Pilates Method is a corrective exercise program excellent for all groups. Indeed an educated professional must be involved with making the necessary program modifications for special populations. For example, with the growing USA epidemic of obesity, sometimes exercise setup position, a static isometric hold, creating muscle synergies and establishing muscle timing and firing patterns is the best place to start. Hence, I believe that Pilates is a mind-body system accessible to all populations. Of course, if you have Osteopenia or Osteoporosis, it goes without saying that contraindications and precautions will be observed at all times. A complete and thorough health history must be interviewed as well as at least a postural evaluation and functional evaluation. However, I believe that the best functional evaluation is actually watching the patient / client perform the exercise. Observing the person from the minute they walk in the door with an initial gait observation and then a postural evaluation tells us the best information. It is necessary to commit this to memory like a snapshot of their health. Create Muscle Synergies to access deeper connections. At the International Association of Dance Medicine & Science (IADMS) conferences that I attend, they speak of these muscles synergies of using the thigh adductors, pelvic floor, Transverse Abdominus and Quadratus Femoris (deep hip External rotator) to create a concert of control. Your center of gravity (COG) is in your sacrum. 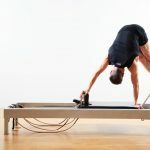 Supine Pilates Reformer Footwork provides proprioceptive information from the sacrum for a neutral spine to be maintained while creating these muscle synergies. It is an amazing place to allow a person to find and feel their body’s position in space via the bony feedback from the sacrum on the carriage. Access the Gluteal Muscles, “seated” at the hips, (no pun intended). 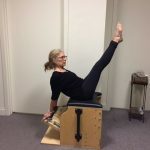 I call the hips the “Grand Central Station” of the body and important in helping to control the successful function of the lower extremity chain. There is actually so much that I could say about this that I could probably write a book on this on this one topic alone. The gluteal muscles maintain stability in the elderly to prevent falls, provide ankle stability en pointe for a dancer and prevent soccer players from incidence of ACL injuries. Patience = Progress If I had to choose, I would say that the Pilates Reformer had always been my favorite. My least favorite exercises specifically were Mat because they are challenging. Over the years I embraced it until conquered. If I don’t like it, then it means I must work harder to achieve excellence. Eventually, I just fall in love over and over again with the entire method. Food is one of my favorite topics as I am passionate about “letting food be thy medicine.” (Hippocrates) I follow a pre-dominantly plant-based diet that is 95% organic except for when I eat out in a restaurant since organic menus are hard to find. 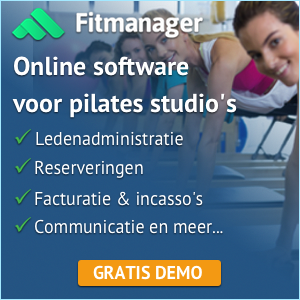 There must be a distinction between, Pilates and Pilates based. The fundamental muscle synergies and precision alignments that are taught are very useful to provide carryover for all forms of movement. As a Physical Therapist, I always encourage my patients to take the principles they have learned to carryover throughout their lives. 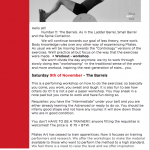 I design and teach sport specific and dance conditioning workouts to help specialized individuals to refine their level of skill only with a solid Pilates base first, of course. I don’t want body mechanics and powerhouse control to collapse when they walk out the door. 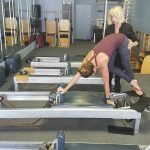 People need encouragement and empowerment to participate safely in the other functional and recreational activities they enjoy so if they internalize the Pilates fundamentals they can become the Masters of their bodies. We initiated our sessions with training the phases of gait with side-lying Tower leg springs after the manual therapy component.What a success! 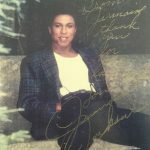 For more, please click the Testimonial link on my website. array of extension exercises. We also have an obesity epidemic in America since our country follows a SAD diet (Standard American Diet). This makes things challenging since the USA yields a high percentage of GMO food. Food is one of my favorite topics as I am passionate about “letting food be thy medicine.” (Hippocrates) I follow a pre-dominantly plant-based diet that is 95% organic except for when I eat out in a restaurant since organic menus are hard to find. 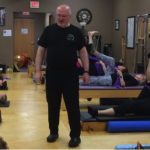 Future Pilates Instructors, I recommend to engage in a good comprehensive, hands-on program. A good Pilates teacher must always be there to listen and probe for needs, goals, desires and concerns and to be a functional investigator to properly design goal-directed plans. No matter what their goals are however, with good form comes good fitness and aesthetic results. My favorite Pilates quote, “You are as young as your spine.” I am always preaching about the spine; the center of your body housing the information superhighway. Wheel alignments, oil changes and tire rotations are basic maintenance for your car. Now picture the highway infrastructure that you drive this car on. Is it a smooth ride on a finely paved road on a sunny day or is it a bumpy & dangerous ride on a pot-holed laden road left to physically fall apart? Not too many cars would pass safely or with adequate speed after a while. Furthermore, picture the electrical wire or delicate cell phone charger that breaks once the outer rubber bends too much. Now the power signal gets weak, intermittent and eventually completely interrupted. The spine headquarters the control center for nerve function and organ functions. It is the home to the “information superhighway” of the body. If structure is compromised, all else fails. A support scaffolding must be architecturally engineered to maintain optimum spinal column function. The spine is not just an orthopedic structure. I always say, “you are only as strong as the weakest link in the chain.” A strong core is the answer to everything! Tina has a wealth of knowledge to offer and extremely generous with her time to assist others. Tina’s research and care for the body is to be respected and applauded. I highly recommend training with Tina she will assist you to change your life.